Previous Forums 2017 - Applied Information Resources, Inc.
After the shooting death of Samuel Dubose in 2015, the University of Cincinnati came under fire for operating a Police Department that seemed to lack proper professional training. Since that tragic event, the University has voluntarily launched a planning process to reform the training and practices of its police department. At the next Community Issues Forum, S. Gregory Baker, Director of Police Community Relations for U.C., and Robin Engel, Vice President for Safety and Reform at U.C. will provide an update of the planning process that will dramatically change how the University’s Police Department does its job. This luncheon presentation takes place at 12:00 noon, Thursday February 2nd, Christ Church Cathedral Forum Room (Third Floor), 318 East Fourth Street. Even before Donald Trump’s Inauguration, people were organizing to oppose some of the actions that he talked about implementing during the campaign. In his first two weeks in office, the President has signed Executive Orders to begin the repeal of the Affordable Care Act, to ban most Muslims from entering the country, and other steps that would repeal Obama Administration policies. What are some of the local responses to these actions. At the next Community Issues Forum, Ismaeel Chartier, Imam of the Clifton Mosque, Michelle Dillingham, Executive Director of Community Shares, and Brennan Grayson, Executive Director of the Cincinnati Interfaith Workers Center will share information about how some of the organizations they are involved with are organizing in reaction to what is happening in Washington, D.C. This luncheon panel takes place at 12:00 noon, Thursday February 16th, Christ Church Cathedral Forum Room (Third Floor), 318 East Fourth Street. 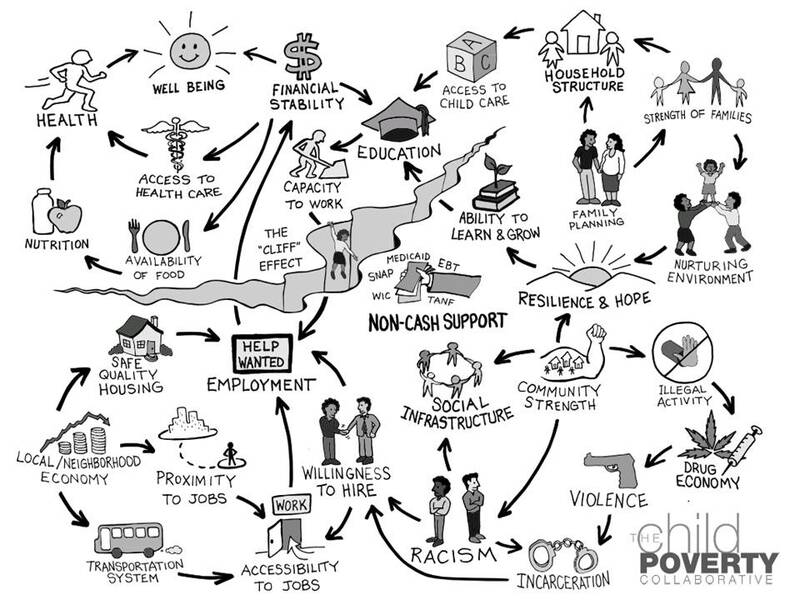 What is the status of “The Child Poverty Initiative” that was launched last year? At the next Community Issues Forum, Ross Meyer, Vice President of Community Impact, the United Way, will provide an update on this important local initiative to reduce the high poverty rate of children in Cincinnati. This luncheon Forum presentation takes place at 12:00 noon, Thursday March 2nd, Christ Church Cathedral Forum Room (Third Floor), 318 East Fourth Street. What Are The Issues That Should Concern City Council And Mayoral Candidates In This Year’s Campaign? A citizens’ initiative was just launched to bring about fair Congressional districts inOhio. Encouraged that voters passed an Ohio Constitutional Amendment in 2015 to establish fair state districts, a reform coalition has drafted a proposal to achieve the same end for Congressional districts. At the next Community Issues Forum, Catherine Turcer, Policy Analyst for Common Cause/Ohio, will outline the content of the proposed Amendment, and several members of the local Fair Elections Coalition will talk about why this reform is so badly needed. This luncheon forum takes place at 12:00 noon, Thursday May 11th, Christ Church Cathedral Forum Room (Third Floor), 318 East Fourth Street. Forums this spring have focused on local responses to what is going on in Washington and what are the issues that City Council and Mayoral candidates should be addressing. Now, it’s your turn! At the next Community Issues Forum, we invite you to take part in a lunch discussion that taps your views on these two topics. Come prepared to talk about the issues you think are important or being overlooked. Some of the panelists who participated in the earlier spring forums will serve as discussion leaders, and we will record and send your collected wisdom to the candidates for City offices and your representatives in Washington, D.C. As a celebration of your participation in this year’s forums, lunch is on us. This luncheon discussion takes place at 12:00 noon, Thursday May 25th, Christ Church Cathedral Forum Room (Third Floor), 318 East Fourth Street. Launching its 37th year, the Forum begins with the presentation of a proposal for establishing a local affordable housing trust fund with the resources to finance housing for low income families and individuals. Speakers, Josh Spring, Executive Director of the Greater Cincinnati Coalition for the Homeless, and Katy Heins, (Part II ) the Center for Community Change, will describe the proposed Trust Fund and discuss why such an entity is needed in Cincinnati today. This luncheon Forum takes place at 12:00 noon, Thursday September 14th, Christ Church Cathedral Forum Room (Third Floor), 318 East Fourth Street. Community Issues Forum focuses on Cincinnati’s mayoral campaign. Mayor John Cranley. Part II makes his case for reelection to this office. These consecutive luncheon Forums take place at 12:00 noon, Thursdays September 21st and 28th, Christ Church Cathedral Forum Room (Third Floor), 318 East Fourth Street. The Community Issues Forum focuses on Cincinnati’s mayoral campaign. Next Thursday, Council member Yvette Simpson. Part II will explain why she has the necessary credentials to replace the current Mayor. These consecutive luncheon Forums take place at 12:00 noon, Thursdays September 21st and 28th, Christ Church Cathedral Forum Room (Third Floor), 318 East Fourth Street. At October 12 Community Issues Forums, the non-incumbent candidates for Cincinnati City Council made their case why they should be elected. See the videos of Michele Dillingham, Tamaya Dennard and Brian Garry. Click on names for video. Forum Focuses on Congress and its attention on tax reform. Both the House and Senate work on a bill that Republicans promise will improve the tax structure for all Americans. At the next Community Issues Forum, Nancy Bertaux, Professor and Director Economics, Sustainability and Society, Xavier University, will review what is in the tax proposal and lead a discussion about whether its provisions will help create a more economically equitable society. This luncheon Forum takes place at 12:00 noon, Thursday November 9th, Christ Church Cathedral Forum Room (Third Floor), 318 East Fourth Street. Forum Focuses Response to Trump’s immigration policies. If you are confused about federal policy and assistance for health care, you are not alone. It almost requires a daily score card to keep up with changes and proposals concerning Obama Care, Medicaid, CHIP, and other assistance programs related to health care coverage. At the next Community Issues Forum, Steve Wagner, Executive Director of UHCAN OHIO, will provide an update of actual and proposed changes and new issues to look for in 2018. This luncheon Forum takes place at 12:00 noon, Thursday December 14th, Christ Church Cathedral Forum Room (Third Floor), 318 East Fourth Street.